A decade ago, I was a broke law student living in San Francisco. The city is expensive to live for anyone, especially for those of us with no income and pricey tuition fees. Most of my fellow students could not afford a car, or garage park in the city for that matter. As a result, most were relegated to public transportation. As a motorcyclist, I was fortunate. 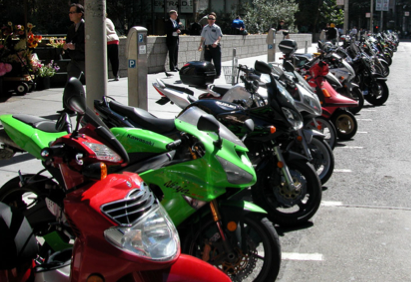 Parking in San Francisco for motorcycles is cheap and abundant. So when I moved from Los Angeles to the Bay Area for school, my Suzuki Intruder went with me. I sold my old car, however. For the better part of two years, I rarely drove an automobile. Rain or shine, I was on my motorcycle. My street riding skills were honed by the crazy weather and the idiot cagers of the city. My car skills, however … well, not so much. During my second year at law school, I borrowed a friend's big old sedan for the weekend, because my parents were coming into town. I hadn't been driving the car for more than five minutes when, in an attempt to back up, I collided with a parked car. Fortunately, the damage was minimal — nothing more that trading bumper paint — but the event was quite embarrassing. After all, I had been driving for a decade, and hadn't been in an accident since I was sixteen. So what happened? Simple. I was accustomed to being on a motorcycle. Driving a car — its dimensions, its handling, its breaking, how others see it, etc. — is entirely different. The same can be said for going from your car to your motorcycle. As the weather gets colder, many of us ride less and less until spring. As the weeks and months tick by with your trusty motorcycle sitting on the old trickle charger, remember that there is no trickle charger for your riding skills. When you dust that bike off, take it easy. Get a feel for her again. Go easy. Remember that riding skills, like anything else, get rusty. And a simple, stupid error on a motorcycle can have devastating results. 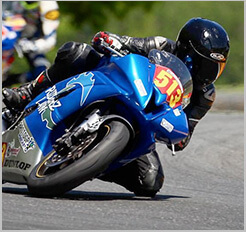 Just another reminder from your favorite Bay Area motorcycle accident lawyer to ride safe.